Otunba Segun Adewale, the governorship candidate of the Action Democratic Party (ADP) in the gubernatorial election in Ekiti state in June 2018, has led thousands of his supporters back to the Peoples Democratic Party (PDP). Legit.ng learnt that Adewale who addressed a huge crowd of supporters at Ipoti, in Ijero local government area, told the gathering that it is time to return back home. “We must ensure that we deliver a resounding victory for the Incoming President, Alhaji and at this point, we must all come together to rescue Nigeria from perverted poverty ravaging the country,” he told the members and supporters. A statement by his party said Adewale, who is currently an adopted member of the ADP and whose supporters cut across all the 16 local government areas of the state, was directed to return to the PDP where he originally belonged to prepare for the presidential other elections. The returnees were received by the state secretary of the PDP who represented the state chairman. At the meeting, Adewale also donated N1 million to assist the PDP in the build up to the presidential election. Legit.ng earlier reported that Alhaji Atiku Abubakar, presidential candidate of the Peoples Democratic Party (PDP) in the 2019 elections, if elected on February 16. Atiku gave the assurance while addressing thousands of party faithful at a presidential rally at the Adokiye Amiesimaka stadium in Port Harcourt on Monday, February 11. 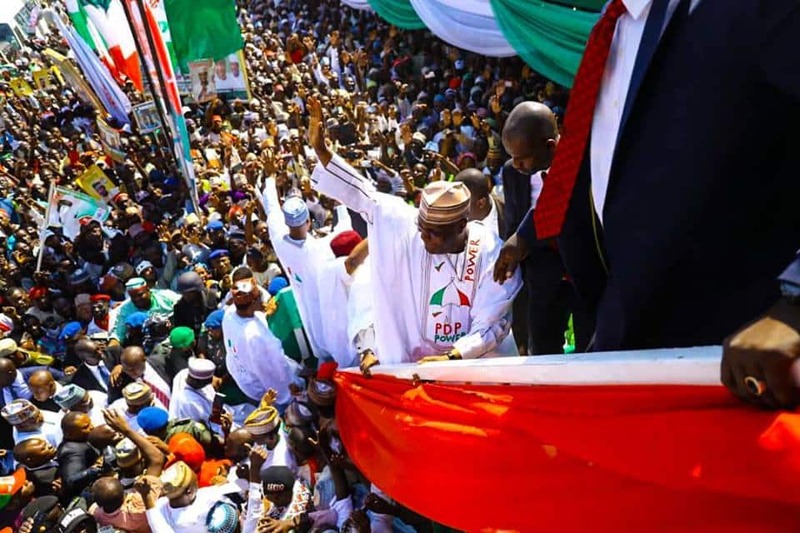 It also reported that following the huge welcome received by Atiku Abubakar, in Kano state, the party's chairman, Uche Secondus, said the is certain. Secondus and another party chieftain, former Kano state governor, Rabiu Kwankwaso, declared that it is over for the opposition party, the All Progressives Congress. He said: “Today, Kano people and particularly, the youths have shown that Kano is for PDP and Kwankwasiyya."